Built and launched in 1846, the Albany was a steel steamer, 267 feet in length. 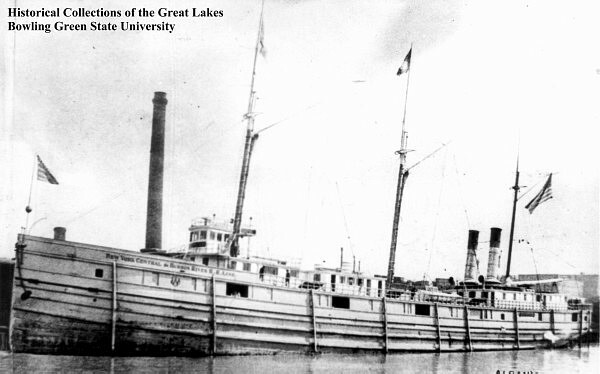 She served the Great Lakes shipping industry proudly for nearly five decades until she collided with the Philadelphia in 1893. She survived the collision and was taken under tow to port for repairs. While under tow, she foundered and succumbed to the depths of Lake Huron. Today she rests in 140 feet of water, broken with her stern upright and bow resting on its starboard side. The Albany is an awesome wreck for the advanced and rec-tec diver to explore. We visit the Albany from Harbor Beach on the Go-Between.